I haven't been taking very long, but InflammaForce by Energetix came highly recommended by my daughters doctor to aid in treating Lyme disease. Great for inflammation. Reduced my back pain. Your body uses many mechanisms to heal itself. One of the most important is the inflammatory response‚ which is directed by your immune system. When you suffer an injury‚ your body sends fluid to the area‚ causing the surrounding tissues to swell up. This inflammation isolates the injury‚ preventing any pathogens from traveling to healthy tissues. Inflammation is also a huge part of the healing process. There are two types of inflammation: acute and chronic. Acute inflammation is an immediate response to an injury‚ wound‚ infection‚ or surgery‚ which rarely lasts for more than a few days; some conditions characterized by acute inflammation include sore throat‚ bronchitis‚ appendicitis‚ and ankle sprains. Chronic inflammation‚ on the other hand‚ can persist for far longer‚ potentially causing serious health conditions. Inflammation can be a major health concern. If you suffer from it‚ you may take over-the-counter anti-inflammatory medications‚ such as aspirin and ibuprofen. Your doctor can also prescribe strong anti-inflammatory agents. Another option for relieving the discomfort associated with mild inflammation is a natural supplement. InflammaForce by Energetix is designed to reduce inflammation and help you feel better. 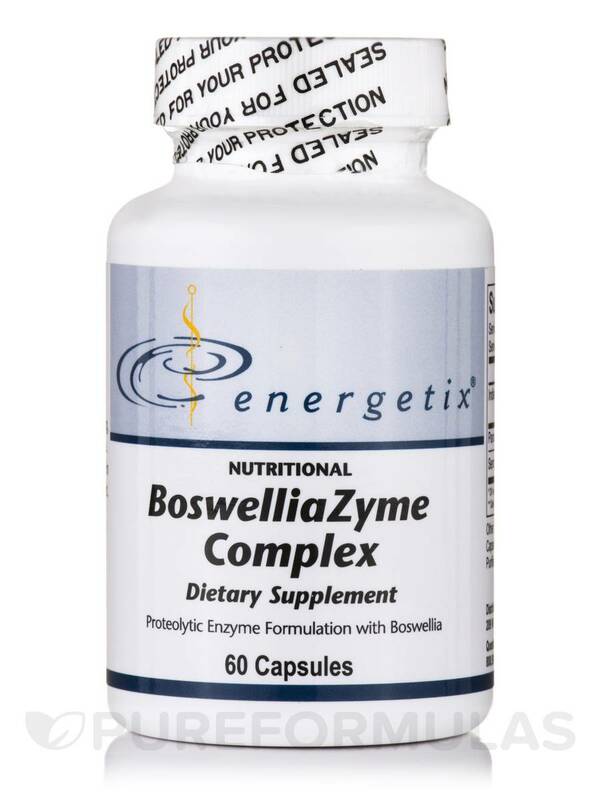 Each capsule provides ingredients such as serrapeptase and boswellia. Serrapeptase is an enzyme that helps break down proteins during the digestive process; this may lower inflammation while boosting the strength of your immune system. Meanwhile‚ boswellia is derived from tree bark; it has anti-inflammatory properties that may lessen joint pain and stiffness. 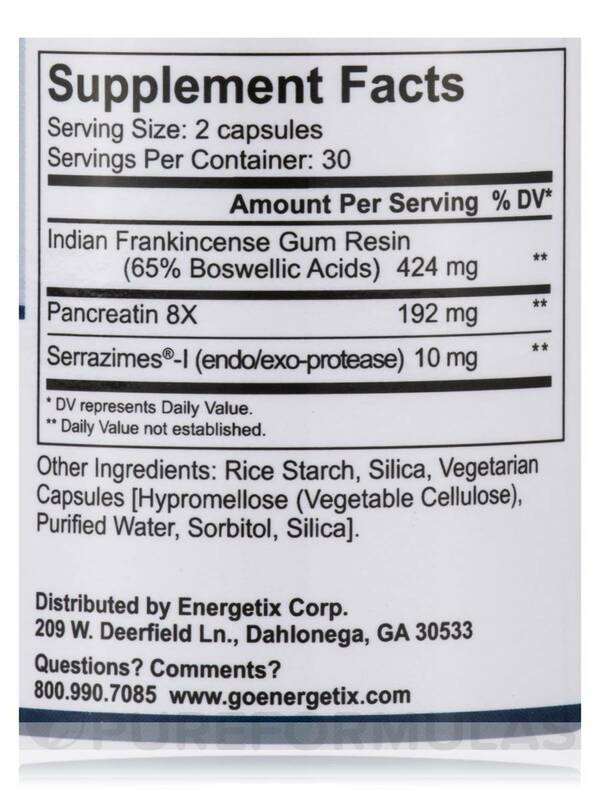 Take two capsules of Energetix’s InflammaForce three times per day‚ unless otherwise recommended by your doctor. 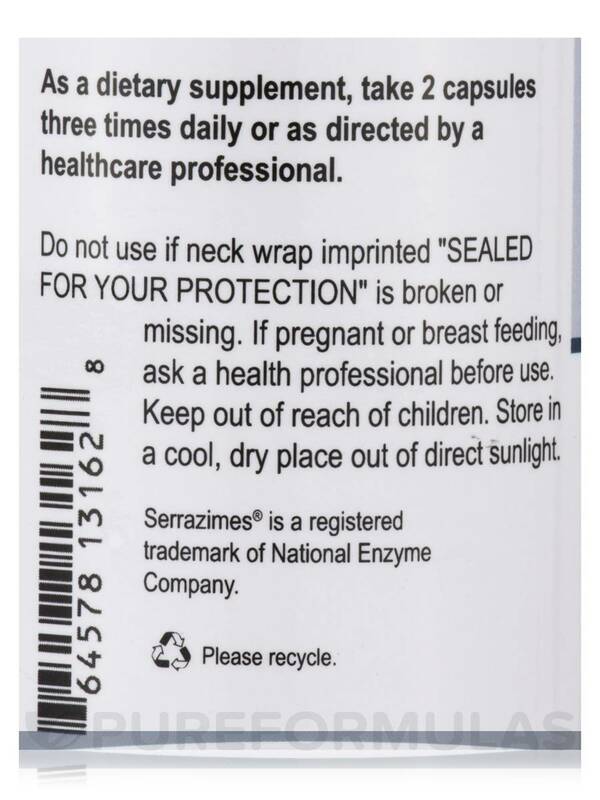 If taken at the recommended dosage‚ one bottle should last for about 10 days. 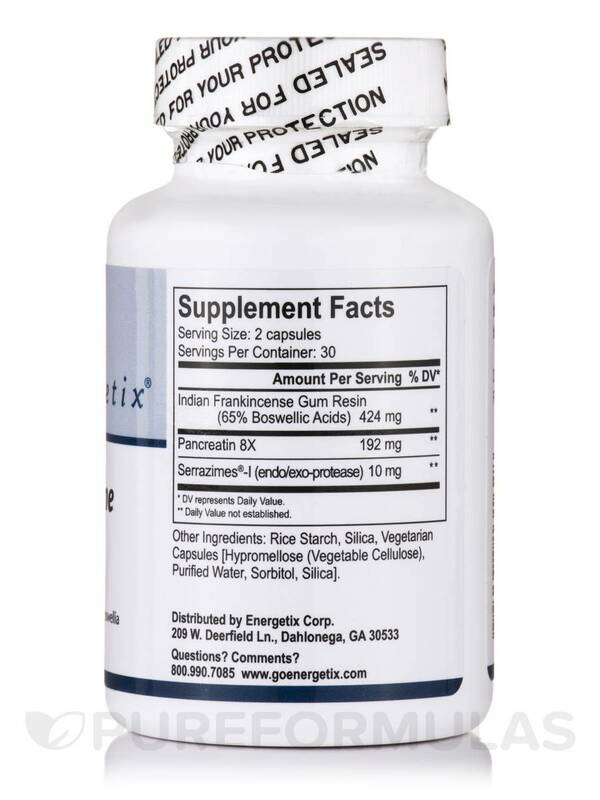 Energetix supplements provide potent‚ pure nutrition. Proven manufacturing processes and unique formulations—created with the cooperation of Energetix's medical advisory board—ensure that health care professionals and their patients benefit from their natural‚ synergistic formulas. Other Ingredients: Rice starch‚ silica‚ vegetarian capsules [hypromellose (vegetable cellulose)‚ purified water‚ sorbitol‚ silica]. 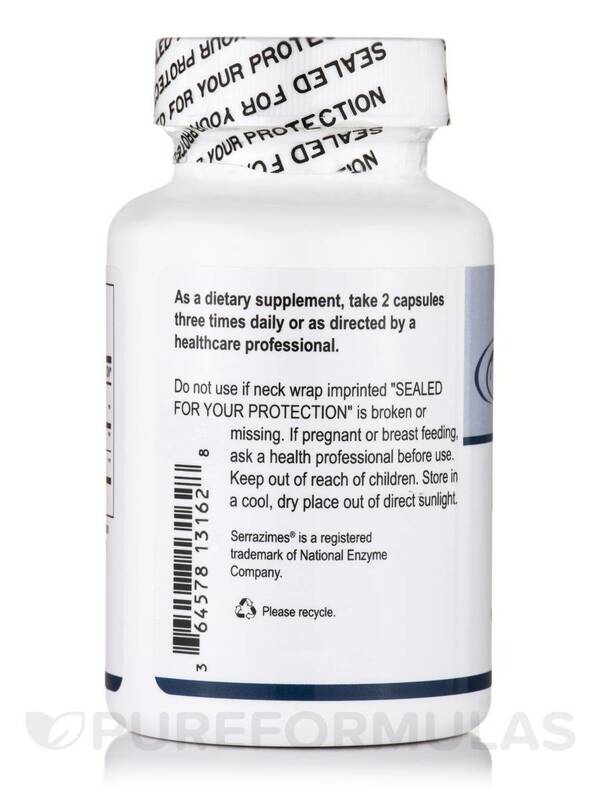 As a dietary supplement‚ take 2 capsules three times daily or as directed by a healthcare professional. I ordered InflammaForce for inflammation I had from a rotater cuff injury. Took away the pain without pain medication. Helped to reduce the swelling around the joint and allowed me to move more freely. InflammaForce also helped me with edema I had in my arm from the injury.